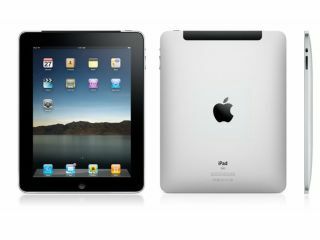 A new British consumer usage study of 1,034 iPad-toting Brits confirms that most iPad owners prefer reading books and newspapers on their Apple tablet than reading old-fashioned printed ink on paper. The new survey of UK iPad owners has been carried out by copywriters Cooper Murphy Webb, who went to the trouble of polling the 1,034 iPad owners via telephone between July 28th and August 10th. The other interesting stats that come out of the research show that 43 per cent of iPad users use their Apple tablet for over 10 hours a week, with most of this usage taking place in the safety of the home environment. 43% use the iPad for more than 10 hours per week, with most of those usage hours taking place in home. In fact, few owners seem to want to take the iPad out and about with them. When asked "do you take your iPad with you when you leave your home?" 27 per cent said never, while 35 per cent said 'rarely'. 31 per cent of iPad users prefer their iPad to their laptop, mobile phone, e-reader or just old-fashioned print media for reading newspapers and magazines. An impressive 41 per cent of those iPad owners polled prefer the iPad for reading books, hence the popularity of reading apps such as iBooks, Kindle for iPad, and Barnes and Noble. 38 per cent prefer to use the iPad for web browsing among UK owners at 38 per cent for gaming.